Business View Caribbean interviews Daren Cenac, Acting GM/CEO/Chief Engineer of the St. Lucia Air and Sea Ports Authority for our focus on Caribbean Ports. 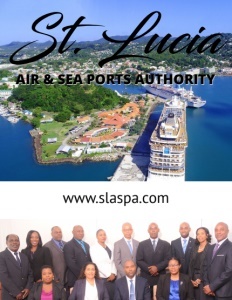 Established by an Act of Parliament in 1983, the Saint Lucia Air and Sea Ports Authority (SLASPA) is responsible for running the island’s two principal seaports, Castries and Vieux Fort, and the George F.L. Charles and Hewanorra International Airports, as well as the smaller points of entry: Soufriere, Marigot, and Rodney Bay Marina. Its mission is a noble one: to maximize air and sea-borne traffic and related services through safe and efficient operations performed by a highly motivated work force contributing to the sustainable, social, and economic development of St. Lucia. Operating from modern headquarters in Castries, SLASPA was created out of the merger of the St. Lucia Ports Authority with the Airports Division of the Ministry of Communications and Works. This merger has created a unique position for the island by providing avenues to generate initiatives for maximizing the assets held in its name and to offer value-added services to its clientele. 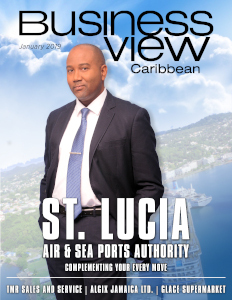 Business View Caribbean recently spoke with Daren Cenac, Acting GM/CEO/Chief Engineer of the St. Lucia Air and Sea Ports Authority about the evolution of SLASPA and its vital role in the strength and growth of St. Lucia. The following is an edited transcript of that conversation. BVC: Can you describe the primary role of St. Lucia Air and Sea Ports Authority and its operations? 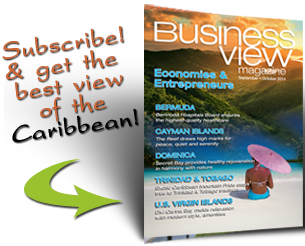 BVC: When was SLASPA formed and how is it vital to the economy and growth of St. Lucia? Cenac: “St. Lucia Air and Sea Ports Authority was created by an Act of Parliament in 1983 and we just celebrated our 35th anniversary in July of 2018. We are a company that’s been around a long time and is transforming at a very fast pace. Collectively, there are 850,000 to 900,000 passengers going through our two airports, annually. Added to that, we have over 600,000 to 700,000 passengers via cruise lines. We also welcome persons via our marinas, and we have ferry terminal traffic. So imagine, if we had no airports, then your hotel plans would be gravely disadvantaged. St. Lucia’s economy is heavily dependent on tourism and it is important that we have the correct customer experience at all of our facilities. This is one aspect we’re working on now. “At all our airports and seaports, infrastructure has to be at a standard to allow aircraft – whether it’s aircraft, cruise ships, or ferries – safe berthing to welcome all persons to St. Lucia. And, of course, that affects taxi drivers, vendors, markets, sightseeing, supermarkets, business, hotels, agriculture – you name it. Once those persons touch our shores, there’s a whole cycle of effect on the economy. 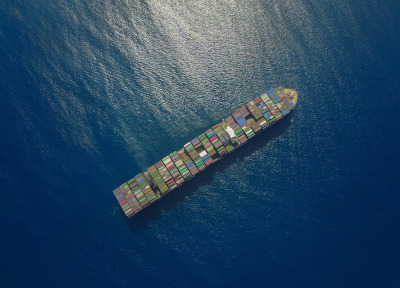 BVC: Are there plans for expanding the current infrastructure for ships and aircraft? Cenac: “Yes, our vision speaks to modernizing; not just our infrastructure but our processes, our procedures, our human capital. Our facilities do need upgrading. In the next few weeks, we’ll be unveiling a long-awaited project in St. Lucia. That’s our Hewanorra International Airport redevelopment – long outstanding but we will ensure that it’s implemented. It’s a very exciting time to be in the organization because we are at this juncture. And if we do not invest in our people in the company, and our infrastructure, we will lose any of the competitive advantage we have. We are late in the game, but we have to catch up and do it quickly. BVC: Where does the investment capital come from for large infrastructure projects? BVC: Is environmental sustainability an issue addressed by St. Lucia Air and Sea Ports Authority? Cenac: “Last year, for the first time in our history, we employed a manager for Health, Safety, and the Environment. So, yes, our thrust is also in the environment. We have had our staff at supervisory levels attend various workshops on climate change. Through our HSC Manager, we also have links with the Minister of Health in terms of Public Health. Regarding renewable energy, we have been working with the Sustainable Development Department of the Ministry on some RE initiatives. BVC: St. Lucia is growing in popularity as a tourism destination. What will that growth mean for St. Lucia Air and Sea Ports Authority in the next five years? Cenac: “I’m definitely excited about our airport redevelopment project. That will create a ‘wow’ factor in entering and leaving this country via that facility. I think it would also appease the situation, where we have limited apron space. There’s a lot of congestion, currently, so within that time frame, we will have totally transformed how we welcome international passengers to St. Lucia. And the experience will be far superior to anything right now in the Caribbean. I believe very passionately and optimistically, it will be the best experience in the Caribbean at the St. Lucia Airport. We are also looking at transforming our seaports, in terms of the feasibility of how we can separate cargo and container traffic. That would be something great for our customers and our stakeholders, because it’s currently not giving us the high level of customer service we should operate at. So, in five years, we should be able to implement something on the seaport side. “Some of the other challenges: we have competition in the Caribbean. 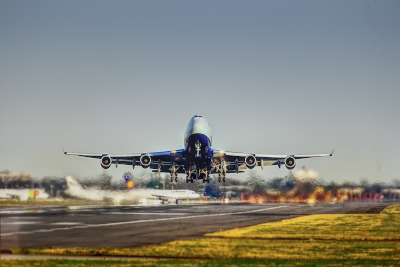 Many countries, many islands have built international airports. We know some might be looking at improving them but, St. Lucia being naturally beautiful – not only physically but the warmth of our people – provides us with a huge added advantage. We are looking at increasing our hotel plans; a number of hotels are undergoing refurbishment and I think the future is very bright for St. Lucia with regards to our tourism product. Check out this handpicked feature on J.E. Bergasse & Company Ltd. – A proud legacy in St. Lucia. (CCBSL) is a newly formed St. Lucia-based company with decades of combined experience. Customer satisfaction is one of our main priorities as well as on-time delivery. CCBSL is confident that it will deliver the highest quality service to its customers.